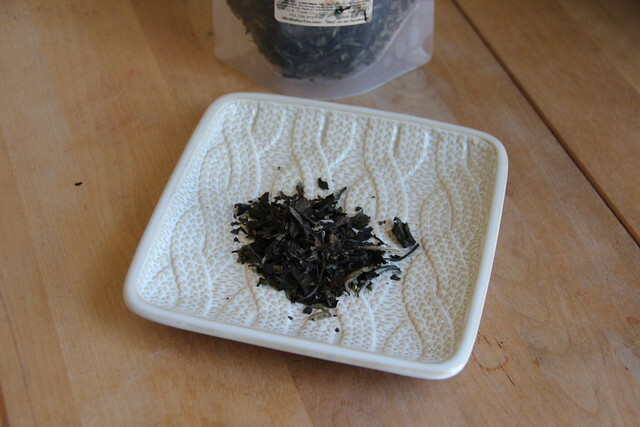 A few weeks ago a reader of the blog suggested that I check out Mrs. Kelley’s Tea. I ordered a few teas to try, the first of which is her French Vanilla White Tea. 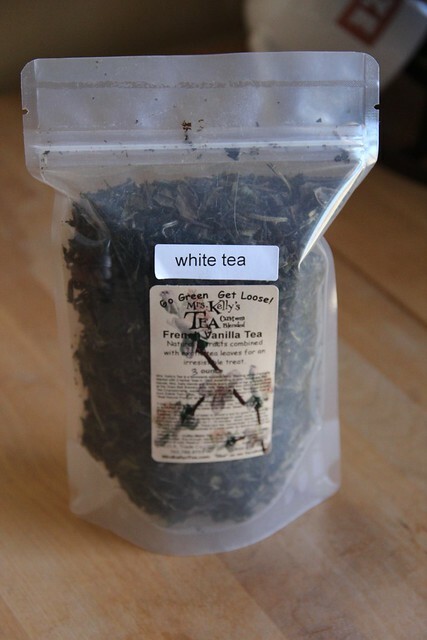 The tea is a mix of white tea and French vanilla flavor. It is available in a variety of sizes: 3oz for $8.50 and 8oz for $17.50. When I opened the package all I could smell was pure vanilla. It smelled AMAZING. Once brewed I could still smell the vanilla, but it also had more of a tea aroma. There were generous sized leaves and pieces of tea in the bag. I added a little bit of sugar and the result was a sweet dessert tea that oozed vanilla. I suspect that this blend will be a permanent addition to my collection. Next The Corner of Knit & Tea: Episode 77, I like bows.